Kids are very modern these days and paying attention to everything that is new is part of their lifestyle. If you walk into a school it is very likely to sense different perfume aromas, because let’s face it: boys or girls like to be stylish and trendy. Perfumes for children are being manufactured for more than a decade and new aromas are released every year. Like any other fragrance category, you need to look to the notes to see if the perfume is suitable for a child and it is not causing allergies. 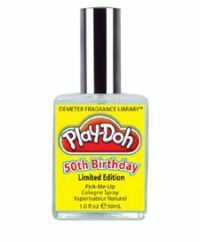 Play-Doh by Demeter Fragrances is a refreshing attempt to create a playful environment for both kids and adults. It was released on the 50th birthday of the modeling compound. It is a cheap and safe option if you want to offer you child a fragrance of its own. Barbie Pink by Antonio Puig is little girls’ favorite. The pinkish fragrance is a lovely combination of woodsy, floral and sweet notes. It starts with cassis and musk, then it transforms in a garden of roses and it ends with delicious nutmeg. Princess Sleeping Beauty is a citrusy perfume for coquettish young ladies. As most girls’ perfumes are, it is also a sweet blend of caramels and citruses. The fragrance is dermatologically tested so you should not be afraid it will harm your child. 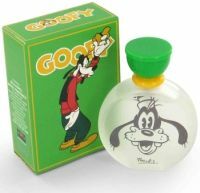 Goofy for boys is more of an oriental fragrance to add charm to cute little boys. It is an interesting mix of bergamot, citruses and woody notes that some of the women would also like to wear. You can consider it somehow a unisex fragrance for adults. 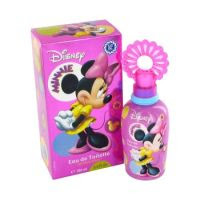 Minnie Eau de Toilette by Minnie is a sweet and spicy aroma, bottled in a very cute packaging. The girls will love the Minnie bottle. Powerpuff Girls Blossom is a fruity floral scent for girls and teenagers. It is recommended for day wear, but kids don’t go out in evening, isn’t it? Imagine yourself a world full of fairies and a river of sweets flowing down the way. This is what I think of when I hear one of Anna Sui’s perfumes. One of the newest creations of Anna Sui is Flight of Fancy, a romantic blend of litchi, lemon and yuzu in the top notes and a woody – musky base. The peacock bottle cap is a sensational element of this glamorous packaging. Flight of Fancy is a light fruity fragrance, suitable for daywear. The fairy perfume by Anna Sui – Secret Wish – is also a fruity fragrance. The lovely bottles hides notes like melon, peach, lemon and pineapple followed by woodsy elements like cedar and oak moss. The scent is very light and frankly a bit disappointing for what you would normally expect. It is rather suitable for the young target. The ‘hippie’ Sui Love is a lovely fruity - floral fragrance. 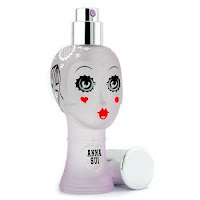 The perfume is less sweet than other Anna Sui scents. The perfume opens with Japanese Osmanthus, passion fruit, orange and apple and then develops into a more spicy fragrance because the pink pepper in the middle notes. Sui Love dries down with a combination of mush, nutmeg and vanilla. 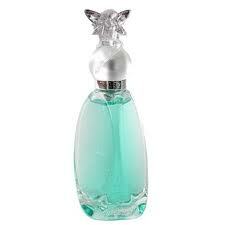 The bottle is very nice, probably Mariah (Carey) has one on her perfume collection. It is suitable for vacation time. The purple Dolly Girl Bonjour L'Amour opens with an interesting cinnamon note, followed by some exotic notes like Texas rosewwod, Florida grapefruit, Italian melon (yummy! ), orris root, coconut and amber. It is a unique scent you will not forget easily. It is a playful fragrance suitable for romantic dates. 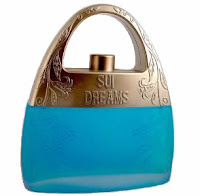 The last but not least is an oriental vanilla called Sui Dreams. The lock – like blue bottle is a strange combination of fresh notes and vanilla. It is a creamy fragrance, not an ordinary vanilla scent you can buy everywhere. The bad part is that it doesn’t last very long, in fact you will need to carry the bottle with you if you want to wear it at a party. Look for more fragrances on research and compare perfumes.